With a powerful rotating action, a Ryobi chainsaw can cut through the toughest materials. They are suitable for a wide range of jobs; whether you’re felling a tree, pruning a bush in your home garden, or a professional landscaper looking to upgrade their kit. Browse our range to find powerful chainsaw options. For use in both domestic and commercial settings, at SGS Engineering we have Ryobi chainsaws for sale that can make big jobs a lot easier. The Ryobi RCS2340 is a perfect example. One of the best in its class, this chainsaw boasts high speed and torque, for the ultimate performance. This allows the 40 chain and bar to cut through hard woods, including ash, birch and elm. Despite the level of power, this Ryobi electric chainsaw offers ease of usability. With a front handle for a variety of holding positions and anti-vibration technology, the RCS2340 is surprisingly comfortable, even when using for prolonged periods. This Ryobi chainsaw also provides simple operation. With no need for tools, you can quickly adjust the tension of the chain, to keep your chainsaw performing optimally. Plus, with an electrical and a mechanical brake, it has been designed to ensure user safety. 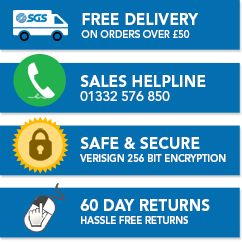 Stocking only the highest quality brands and rated as a 5-star Google certified shop, SGS Engineering is a brand you can trust. 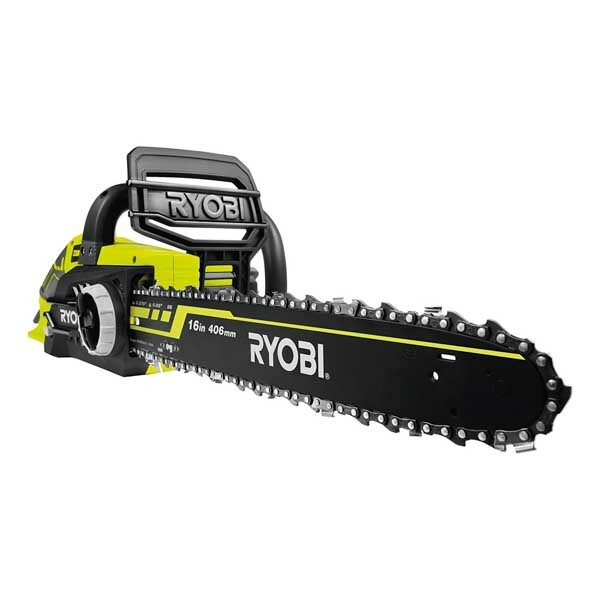 Furthermore, our Ryobi chainsaws come with a free warranty. Buy today with confidence.